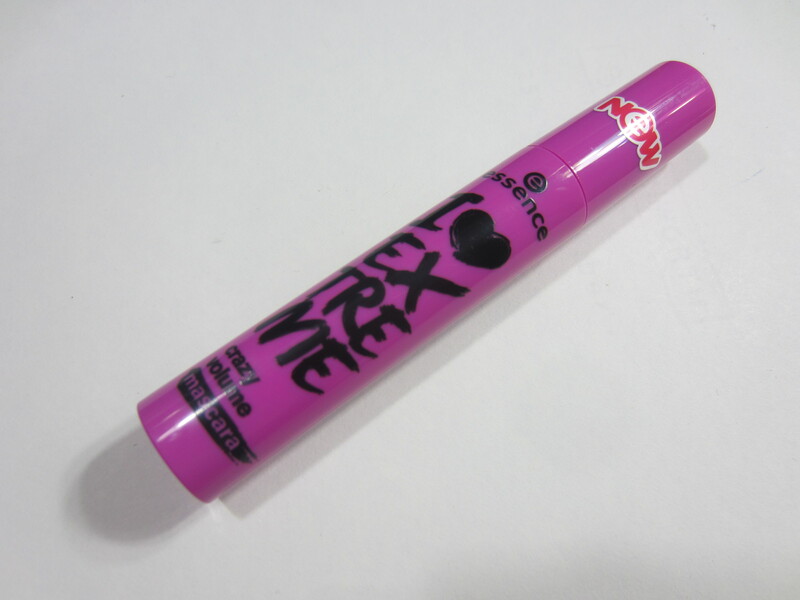 Essence I Love Crazy Extreme Volume Mascara Review! Have I ever mentioned that mascaras are my favorite thing to review! Mascara even sometimes beats out nail polish for me when it comes to blogging. The problem with blogging about mascara, it means that I have a ton of open mascaras at a time. So I’ve been trying to cut back and really using the products that I have. Hence why I haven’t put up a mascara review in a few weeks. But today I have a mascara from Essence to share with you, and if you’ve been following my YouTube channel that you may already know what I’m going to say. 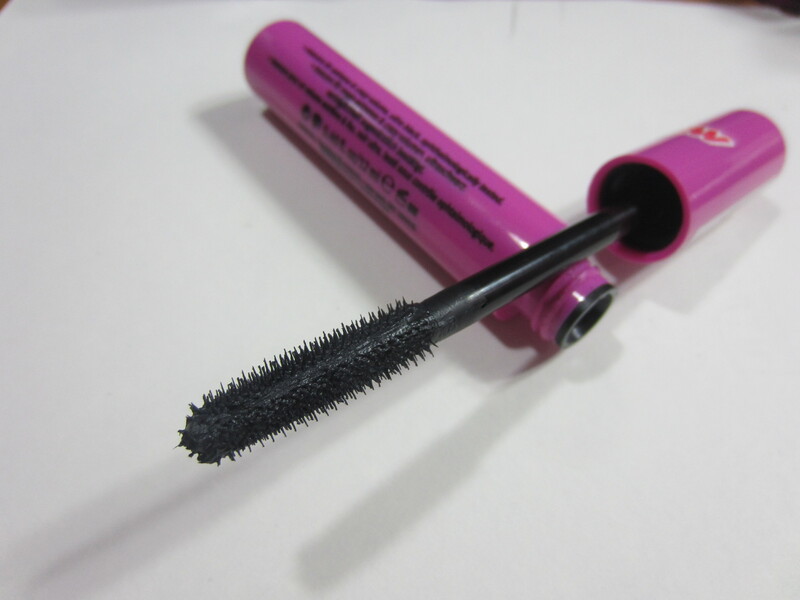 the i love extreme mascara’s “crazy” sister – for even more volume! the deep-black, creamy texture covers each individual lash with color and the extra-large plastic brush provides sensational volume. the mascara container is designed in the usual i love-colors, except they’re the other way around – in a cool pink with black lettering. opthalmologically tested. The packaging is a little big and bulky, because it houses such a huge brush. The brush is very wide but with short, shallow rubber bristles. There are a lot of bristles too, which I think is meant to create a ton of volume. The opening does a great job at cleaning off excess mascara, so there is very little clumping. What I like: I love that it seems to separate every lash and coat every lash. I really like how natural it looks and how there are no clumps! This is one of the best first layer mascaras I’ve ever used (I use 2 mascaras normally). The brush, while big, is easy to use and control. What I don’t like: I think a mascara with the name extreme crazy volume should have more volume. While there is a little, there isn’t as much as I like and I was disappointed. However, even though it isn’t great for volume, its great as a first layer mascara so find a mascara that builds up volume and layer it over top. Overall, I really do love this mascara! It is a great first layer mascara and is great for a no-makeup day because it doesn’t look over the top. It separates my lashes really well and is so easy to use. I just wish there was a little bit more volume to this mascara. Disclosure: products in this post were provided by the manufacturer, their PR firm or retailer for my review. All opinions are my own. Jordana Best Lash Extreme Mascara Review! Georgio Armani Eyes to Kill Mascara Review! 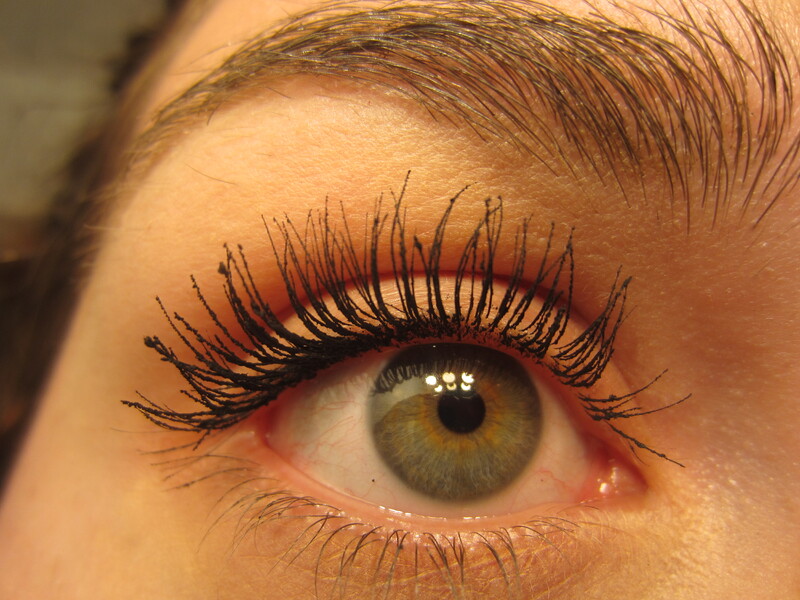 I wish my lashes curled like yours, so pretty! the mascara looks great I need to get this! no smudging? If I wasn’t all about Maybelline Colossal or Falsies, I’d try this. Damn girl! Your lashes are so long! I’ll send you the looks for Wear It Wednesday soon too 🙂 valentines inspired. Oh, this really does separate well!